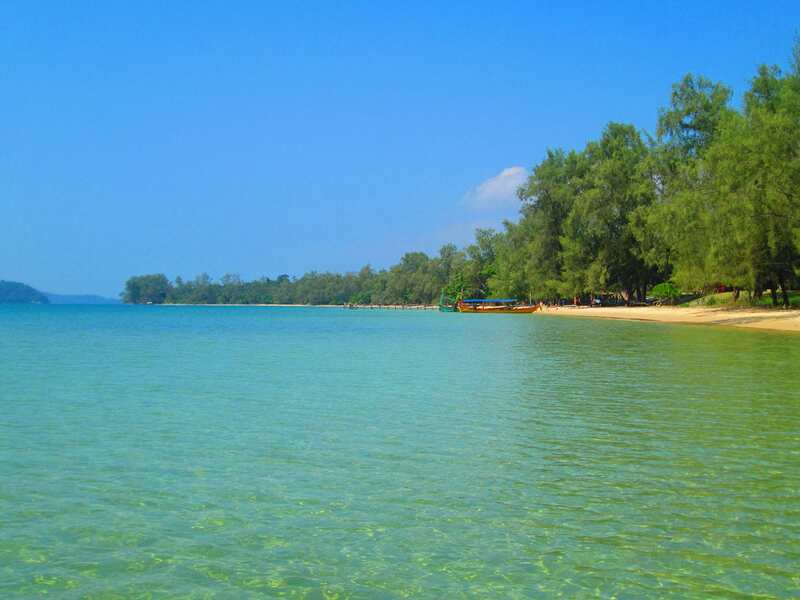 About an hours boat ride from the coast of Sihanoukville is the paradise island of Koh Ta Kiev. At 28 square kilometres the island is home to only a small fishing community and a handful of beach huts, tree houses and tents that provide the accommodation options available to visiting tourists. 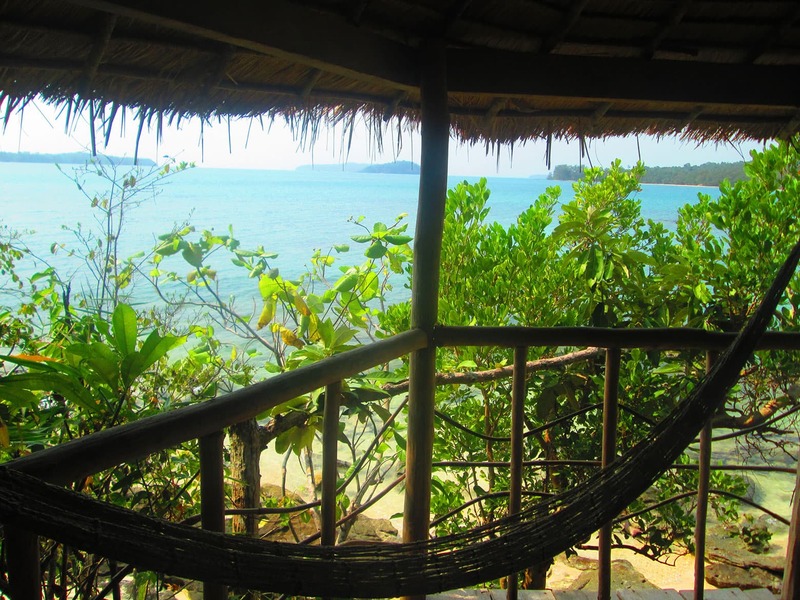 My personal favourite, at Ten 103 Tree house Bay you can choose to stay in a private tree house, dorm room or hammock for varying prices ranging from $7 to $25 per night. As with most of the accommodation options in the island, the facilities are very basic, so bare that in mind before you visit! The food at Ten 103 is another great reason to stay (although if you are staying at other accommodation you are still more than welcome to eat here) with a special available every night. They bake bread daily, make all their pasta from scratch and have a great device for smoking meats meaning all the food tastes amazing! The bar always seemed to be open serving breakfast through to dinner and there were a number of seating areas full of bean bags and benches all overlooking the sea and the other Cambodian islands in the distance. Koh Ta Kiev also used to be home to the Syn Absinthe distillery, although now located on the mainland, Ten 103 still offers a great selection of absinthe speciality cocktails. 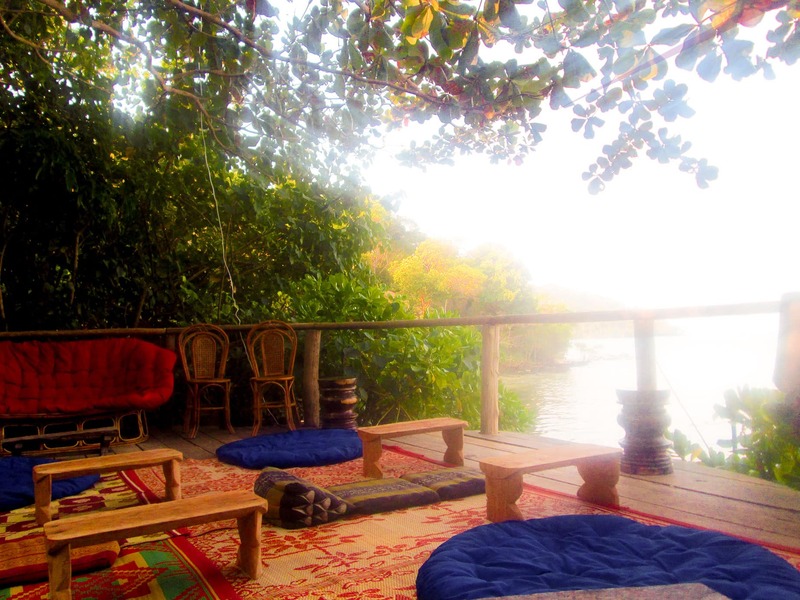 Situated further away from the other accommodation on the island, Crusoe offers you the chance to sleep in a tent right on the beach, surrounded by dense jungle. Crusoe is great fun especially if you like a party, with a great atmosphere most evenings around the bar area. As well as tents Crusoe also offer some wooden hut type accommodation options from as little as $10. 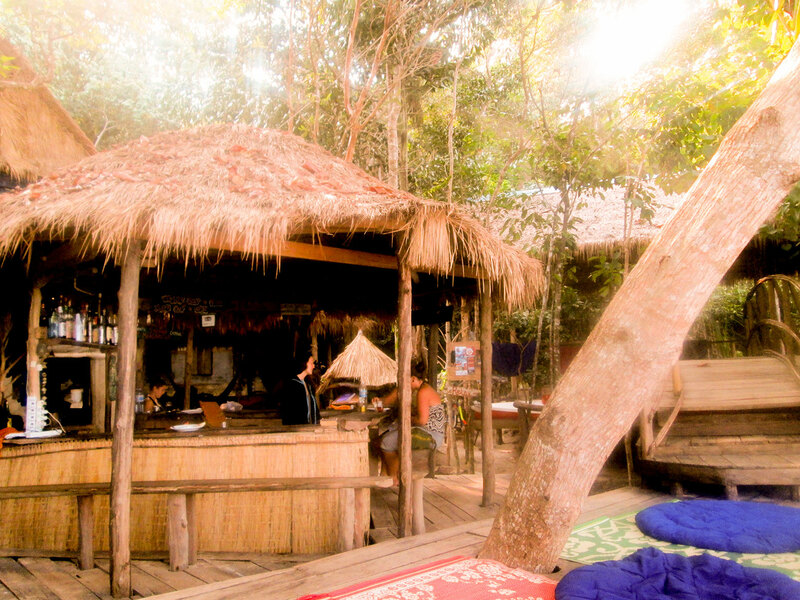 Around the corner from Ten 103 is Coral Beach which offers a number of beach bungalows as well as a bar and restaurant. The decking area in front of the bar stretches out over the water and is a great spot for an evening drink. We had breakfast at Coral Beach one morning which to be honest wasn’t any thing special but I’ve heard the evening meals are pretty good. 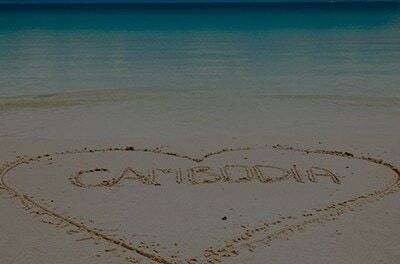 Is located between Ten 103 and Crusoe, along a beautiful stretch of pristine beach. The Bungalows are set further back from the beach than any of the other accommodation options and are less immersed in trees. There are day trip boats which stop at this part of the island so it can get a little busier than other areas. To the right of the ‘resort’ you can walk up a sandy path to higher ground where you will find a small fresh water lake. Ten 103 and Coral beach both have their own boats which pick up from Otres Beach on a daily basis. 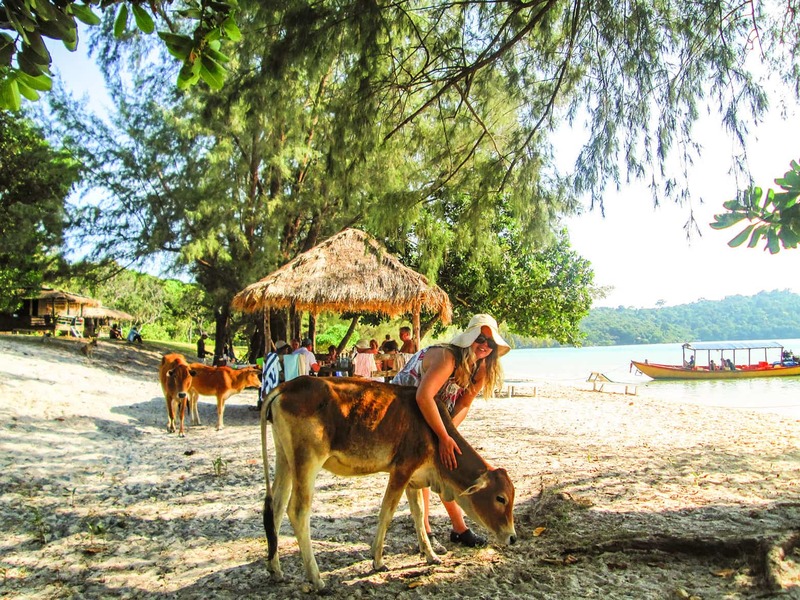 Have a walk along Otres and you will find numerous places where you can book your accommodation on Koh Ta Kiev and arrange your transport at the same time. I booked directly via email when staying at Ten 103. 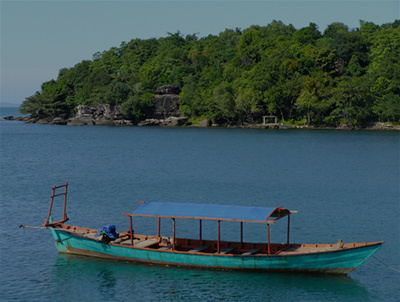 Crusoe also have a ferry which operates daily between Otres and Koh Ta Kiev however this is only available during the high season and is not available from April to November. You could also catch one of the day trip boats heading to Koh Ta Kiev, again a quick walk along Otres and you will soon find somewhere where you can book your place. Koh Ta Kiev is stunningly beautiful and I spent much of my time simply admiring the scenery from the beach, with out a doubt one of my favourite beaches in the world. 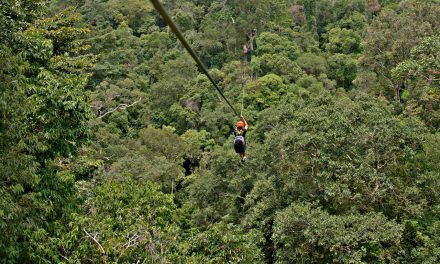 If you have an adventurous side take a walk through the jungle to the other side of the island where you’ll find a small fishing village. The crystal clear water is also perfect for snorkelling and you can see an array of different fish around the rockier areas but do watch out for the spiky black sea urchins. 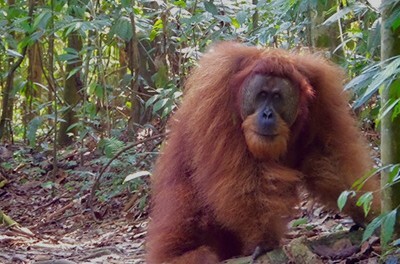 My advice would be to have a good walk about and explore this relatively untouched island. 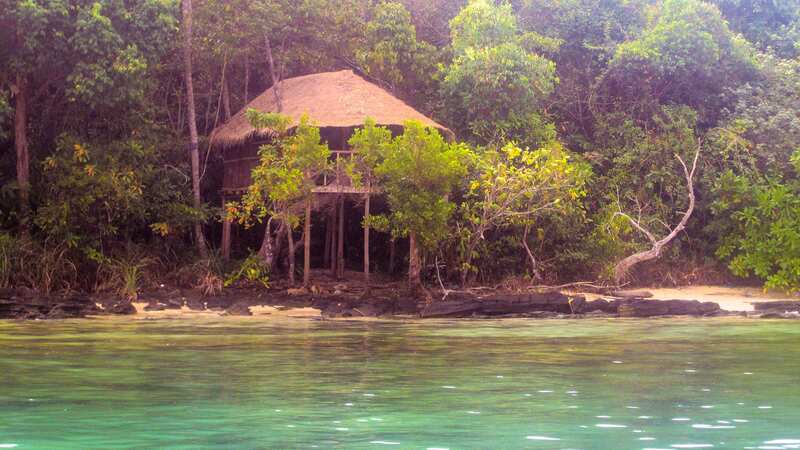 But for just $70 a month, the military agreed to turn a blind eye to the bamboo shacks popping up along the coastline, and so Koh Ta Kiev the traveller s secret spot was born. Koh Ta Kiev is a pardise. We stayed 4 Days there it was sooo awesome. I really can recommend 103 Threehouse Bay, the Bungalows there are so nice olso cactus is a great place to Stay.